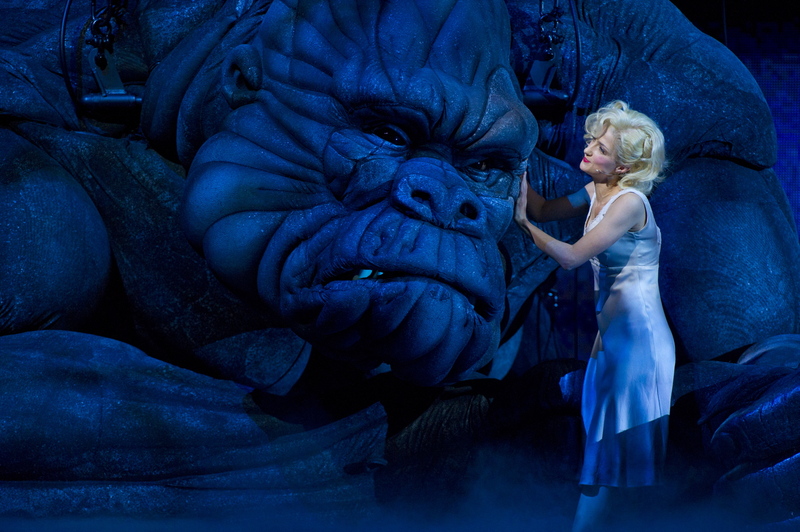 As a groundbreaking theatrical spectacular, King Kong is a lavish, jaw-dropping success. As a “music theatre event,” however, it is a disappointing failure, setting the art form back 70 years. 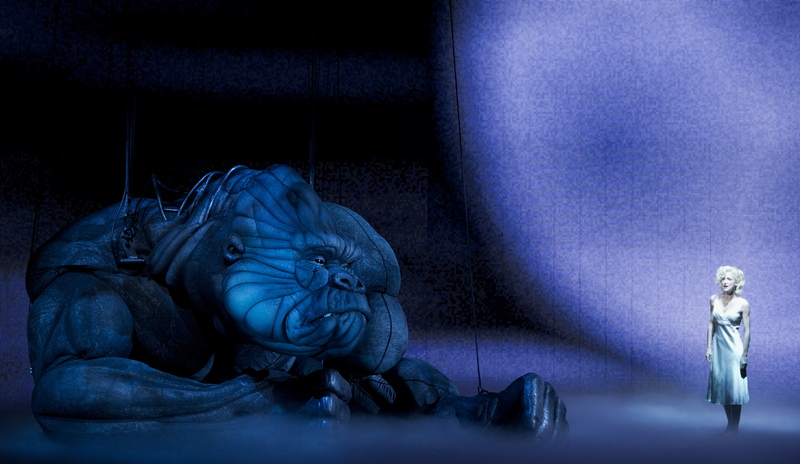 Global Creatures’ choice of material was an inspired one, with the potential for innovation in puppetry matched by the scope for an epic love story. The advances in puppetry for the show are nothing short of amazing, with the level of facial and body expression, as well as sound effects, being truly awe-inspiring. The audience’s anticipation of the first sighting of Kong is paid off with an ominous first scene, with bigger and better appearances yet to come. The work of Sonny Tilders and his team is quite extraordinary, and photos really do not do justice to the effectiveness of the quality of the design and puppetry work on display live in the theatre. The puppeteers, billed as “The King’s Men,” are a crack team who work in perpetual collaboration to bring the beast to life. 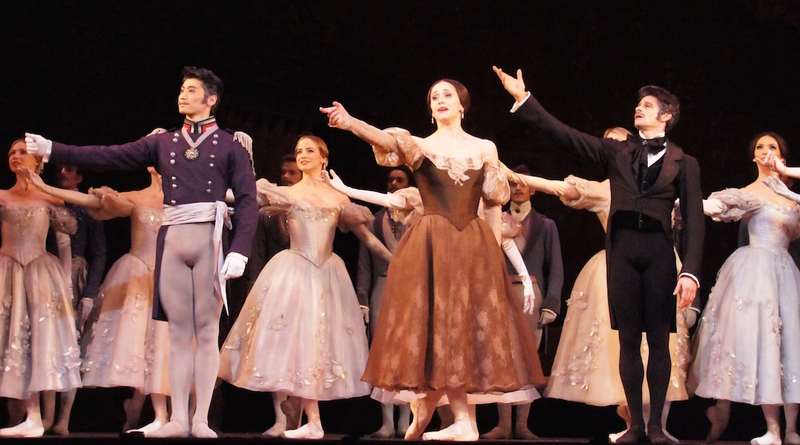 The technical achievements of the production are world class, or perhaps even better. Peter Hylenski’s sound design creates an immersive soundscape in which city and jungle noise come from all directions. The roar of Kong is bone shaking. Legendary costume designer Roger Kirk has done superb work, creating gorgeous designs using dazzling fabrics and eye-catching colours that aid the identification of characters. Peter Mumford’s lighting is practically a show in its own right, creating a depth of three-dimensional field rarely seen in the theatre. The surreal projection designs of Frieder Weiss complement the lighting, with strongly jarring impact during Kong’s final moments. The effect of dynamic white noise projected onto the natives of Skull Island is quite startling. As strong as each of these design elements are, the overall look and style are completely at odds with the 1930s setting, as is the music. Still, this is clearly a conscious decision by the production team, and they have seen it through to completion with a unified vision. Several numbers come off like MTV-style video clips, some of the projections look like an Atari screen saver, and the sound is so loud you cannot hear other audience members laugh or clap, but if that is the desired effect then so be it. Given the length of time since conception, the reasons for the decision to use a range of composers are not entirely clear. The score comes off like a film soundtrack (in particular a Baz Luhrmann film soundtrack), meaning that apart from the fact that the modern pop sound contrasts with the setting, these are also the type of songs that are usually heard as background music. The ear simply cannot tune in to the lyrics. 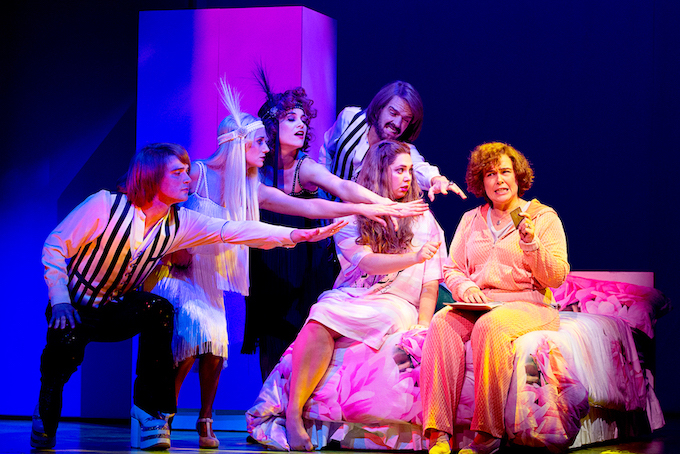 Unlike integrated musical theatre, the main crime is that the songs do not advance or drive or derive from the plot. A couple of ballads have a fleeting beauty, but the rest are unmemorable and slow the action to a grinding halt. There is a feeling of “too many cooks” in terms of decisions related to where to spend the budget and creative energy. Producers Gerry Ryan and Carmen Pavlovic have worked with a director, aerial/circus director, puppetry director, associate director, resident director, fight director, technical director, creature designer, choreographer as well as book writer and composer, music producer/arranger, music consultant, musical supervisor and musical director. Craig Lucas’ book may have been coherent at one stage, but seems to have been whittled away to a sparse collection of scenes. The basic simplicity of act two fritters away any momentum built up in act one. The character of fringe dweller and prophet Cassandra has ended up all over the cutting room floor (if that is a concept that applies to live theatre), leaving an incoherent muddle. The fact that the nefarious Carl Denham escapes without retribution is in direct contravention of scriptwriting 101. Direction, by Daniel Kramer, contains sufficient broad strokes to help audiences follow the simple plot, but is sorely lacking in character development and detail. Choreographer John O’Connell has drilled the cast to perfection with spectacular dance moves, thankfully laced with a delectable dose of wit. Towering above all technical wizardry is the superb performance of Esther Hannaford in the leading human performance of Ann Darrow. Hannaford’s voice supply flexes from chest to head, with each of her songs performed to gloriously heartbreaking effect. As brilliant as the puppetry of Kong is, the effect is significantly heightened due to the pure and immersive belief Hannaford conveys. Her sincere and passionate performance elevates would could potentially be corny in lesser hands. Queenie van de Zandt makes the most of the little she is given to do as the impossibly glamorous prophet Cassandra, sounding quite magnificent in her one number. She has even less to do, and is completely unrecognisable, as the island’s High Priestess. Richard Piper expertly achieves two distinct, contrasting characterisations as the corrupt Captain Engelhorn and the militant Chief of Police. A third Piper character, Weston, is listed in the program but this one has yet to register for me, even after three viewings. Chris Ryan gives a solid, endearing performance as romantic lead Jack Driscoll, although the odds are against him with this underwritten, one-note character. “Face of Forever” is the best of Ryan’s songs, his rendition of it all the more impressive given that he is climbing a massive vine to the top of the proscenium arch. Carl Denham, Polish immigrant turned desperate showman, is a central and vital character role, so it is unclear why a young and inexperienced recent graduate has been cast. Adam Lyon works overly hard, and makes some odd vocal choices. 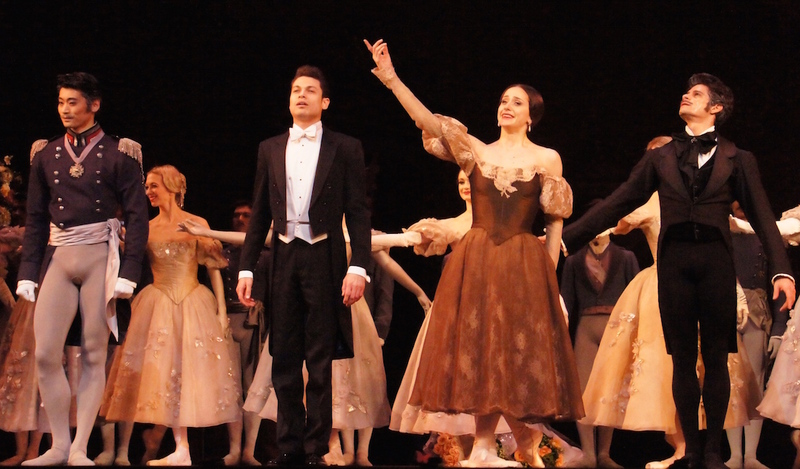 It is sincerely hoped that Lyon will go on to find roles more appropriately suited to his talents in the future. With full price tickets starting from $99, King Kong certainly offers plenty of bang for your buck. Music theatre aficionados would be better advised to stick with Legally Blonde or Flowerchildren. 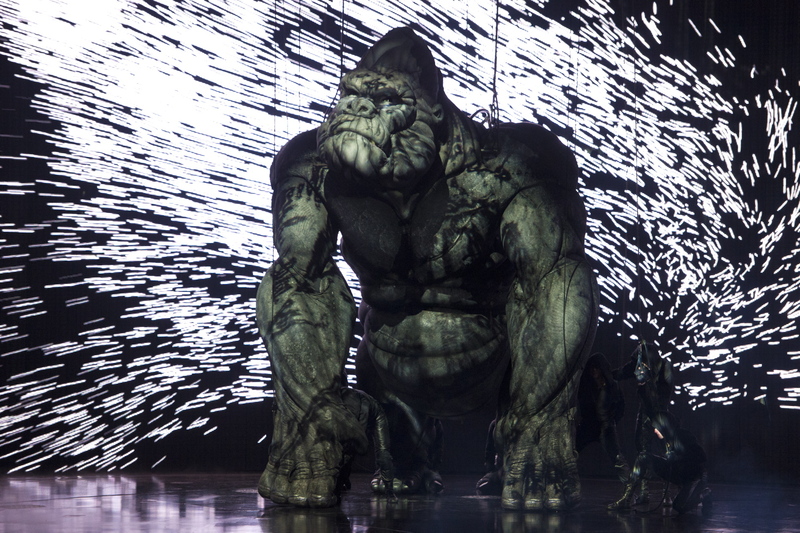 King Kong has an open-ended season at the Regent Theatre, Melbourne. Great review. You have captured exactly how I felt. Thanks so much Maris. I do hope it goes well for the producers, but it will be interesting if it undergoes more work in the future. It’s an excellent, fair and balanced review Simon, and I would would agree with a lot of what you have to say. I would also like to think that if there is to be an international future for this amazing adventure that has begun here in Melbourne, that much of what you have said is heeded and the much needed cohesive adrenalin is added as time passes … very much in the Broadway tradition of ‘out of town try-outs”! I’d appreciate your response …and incidentally, THIS Chris Ryan has had the name longer than the show’s romantic lead! Dear Chris Ryan ‘Senior’, thanks so much for your feedback. I too feel strongly that there is a terrific future ahead for the show. The title alone could sell countless tickets.I will certainly be keen to see future incarnations. The theatrical expertise is all out there and hopefully they will find the right person/people to give the show the bit of help it needs. Great review Simon- articulated all the issues I saw as well. Thanks so much Edwina. Hope the show has made for interesting discussion in Theatre Studies. Feel free to share the review with the class!